Nagaland Deputy Chief Minister Y Patton, who is also in charge for Home and National Highways, said on Friday that road development and maintenance across the State would be his priority in the coming days. Patton, while admitting that almost all roads in Nagaland were in a deplorable condition, asserted that road development would not remain confined to any particular area, but would be carried out across the State. He also called upon the people of the State to facilitate in road construction and other development activities and to pose any hurdle in the pretext of landownership. 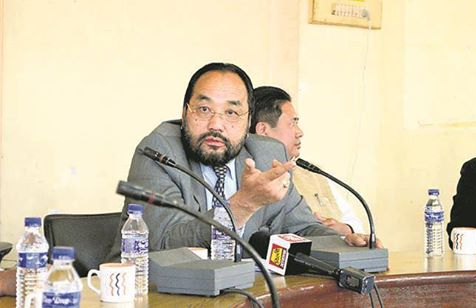 Thanking Chief Minister Neiphiu Rio for reposing trust on him and making him the deputy Chief Minister, Patton said it was for the first time that a member from the Lotha Naga community has held such a high position in the government. While asserting that the Bharatiya Janata Party (BJP) is not against any religion, he urged the Naga Christians to repose faith on the present government. Patton also said that he had contested the recent Assembly elections on a BJP ticket to speak out in favour of Christians. He also said that some vicious circles with vested interests are inflicting torture and atrocities on Christians at some places across the country in the name of BJP. He was speaking at a thanksgiving service held at his private residence at Wokha in the State.